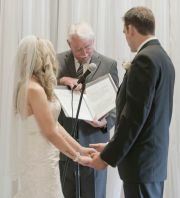 Gerry Copeman was the perfect officiant for our wedding ceremony. He was incredibly flexible and went out of his way to help ensure we had the ceremony we wanted. Gerry took extra care to personalize the ceremony and made it obvious to our friends and family that he had taken the time to get to know us as a couple. Gerry has an easy-going manner and makes everyone around him comfortable. He is an eloquent speaker and it is clear that Gerry enjoys being a part of a couple’s celebration. Thanks Gerry for making our day so special! My wife Celia and I, Brent, were married this past September by Gerry Copeman. I have to say, we were blown away by his helpful and caring nature. He really put the wedding ceremony in our hands. It was very nice to see some examples of other ceremonies and then work what we like from them into what we had pictured for ours. Gerry was very patient with us, in this process. During our meeting, he made us feel at home, as though we were speaking to a friend about how we pictured the ceremony going. We never felt rushed, we had the feeling that he truly cared that we were happy, and this carried on throughout the planning and actual wedding. I would absolutely recommend his services to any one of my friends, or in that case, anyone wanting to get married! Thank you so much for allowing us to have him officiate our ceremony, it just wouldn't have been the same with out him!!! Gerry Copeman was very accommodating with our ceremony request and easy to work with. I had a very good experience and have already passed along the web address to a friend of the family. Gerry Copeman was phenomenal! We had numerous compliments on our ceremony, in particular how well spoken Gerry was. We have already referred you! Gerry Copeman was amazing! He supported our ceremony decisions and executed everything perfectly! He presented as extremely professional, yet easy going - exactly what we were looking for. All staff we communicated with were very friendly and helpful. I have already referred friends to All Seasons Weddings, this organization is the total package.Thank you for everything and keep up the great work! Gerry Copeman did an amazing job. He was very helpful and friendly. Gerry did a fantastic job and respected our wishes. Gerry Copeman was friendly and helpful during our pre-meeting. The ceremony was wonderful, he has an excellent blend of formality and humour. In addition to be happy with the ceremony ourselves, we received a number of complements from our guests. All Seasons' reservations staff were friendly and responsive. The process was smooth and Gerry was excellent, we would definitely recommend to others. We were very happy with all aspects of our dealings with All Seasons and Gerry Copeman. Gerry, It is so funny how I accidently without knowing had the best officiant for my beliefs. Gerry you were so great and friendly and helpful. Thank you for being there on such a special day for me. Hugs, Sarah. Couldn't have asked for a better officiant. Thanks so much Gerry for helping Sarah and I start our married life together. Jeremey. Having chosen wedding ceremonies by all seasons, certainly made wedding planning more simple. 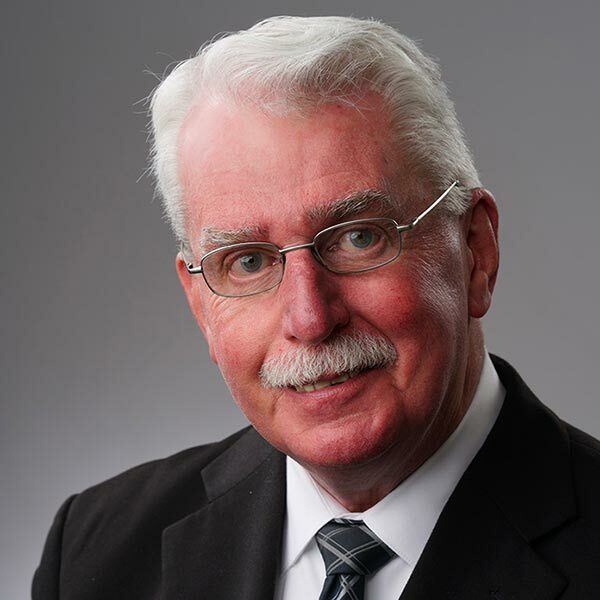 I couldn't have been happier to have selected Gerry Copeman as our wedding Officiant. He presents himself with warmth and humbleness which contributed immensely to our ceremony. Such a kind, passionate man, we are so ever grateful to have had Gerry officiate our wedding. Notre célébrant, Gerry Copeman, était professionnel & amical. Il nous a guidé afin de nous rendre plus à l'aise et nous lui en sont très reconnaissants. Il était ouvert à nos idées et nous laissait choisir la façon dont nous voulions célébrer note cérémonie. Nous sommes très heureuxde ses services et nous le recommandons à d'autres! Très satisfaits de vos services, merci! 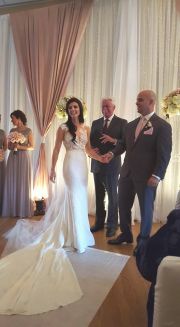 Gerry Copeman was the perfect person to perform our wedding ceremony. He is a personable and professional individual who took the time to explain everything we needed to know. As well, he gave us the opportunity to personalize our ceremony and make it unique and memorable to all in attendance. All reservations staff with whom we came into contact were friendly and helpful. We could not have asked for more. Rene and I want to thank Rev Gerry Copeman for delivering such a beautiful ceremony at our wedding! I was an absolute pack of nerves before I walked down the aisle and Gerry was so calming and encouraging that it helped me to relax and be present in the moment! He was extremely professional and delivered a beautiful ceremony that everyone really enjoyed! Gerry was even able to make light of the awkward moment when our best man was struggling to get the rings out of his pocket! He was an absolute pleasure and we could not have imagined anyone else performing our marriage ceremony! We highly recommend him! Thank you so much Gerry, we truly appreciate everything!